If I may celebrate something about my life it's this: I meet great people. Through channels God could only create, Chup and I have become friends with Terryl and Fiona Givens co-authors of The God Who Weeps and historians of the humanities and religions. In our Mormon community they have done dedicated and powerful work in putting our religious doubts in safe places by honoring them. "Be grateful for your doubts," write Terryl in his Letter to a Doubter. 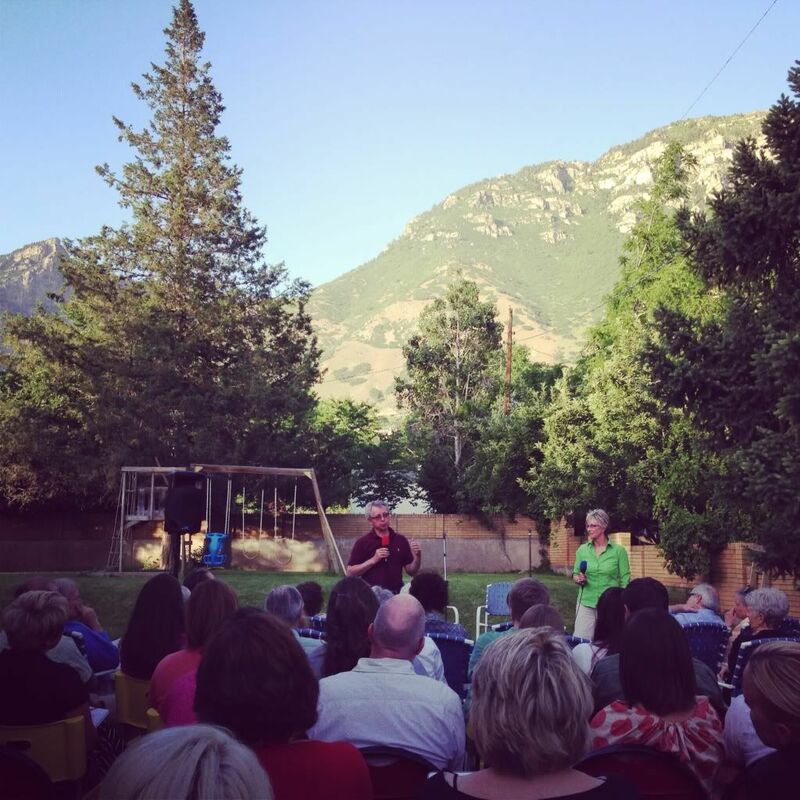 Last week Chup and I hosted a lecture by our friends in our backyard. This was our second occasion to have Terryl lecture in our home. They are the kind of intellectuals that use words to fill your head with faith instead of fear. I really, really love them. In Mormonism we are instructed to "read from the best books" and in her lecture Fiona talked about finding and reading books that illuminate God and self. After the lecture, a couple of my friends asked if I could request Fiona's Best Books recommendations. Graciously Fiona emailed me a list today, which I read thinking of her lovely British accent, ("I'm a huge fan of women's literature which is why it dominates...")("The Germans are a little dark.") and I thought it would be great to publish on my blog as well. So here it is. Thank you Fiona and Terryl and Vicki and Terry for spending time with my family. And thanks for listening and changing our lives. Gerard Manley Hopkins--poetry. Like Woolfe he paints with words. Wilfred Owen and Siegfried Sassoon--poetry. World War I. They've really influenced my feelings on war. Their poetry is stunning but not pretty. Wilkie Collins--"The Woman in White" and "Moonstone"
Victor Hugo--Les Misérables--unabridged is best but don't read Tolstoy's War and Peace unabridged unless you like to line up little toy soldiers in various battle formations during your free time. Bertholt Brecht--"The Threepenny Opera" and "Mother Courage." Edward Beecher: "Conflict of Ages" and "Concord of Ages". The first book is a treatise on pre-existence and the second is a treatise on the Vulnerable God. Must reads! In January I wrote a little bit about The God Who Weeps after I finished the book, you can read that here. Also, I love this interview with Fiona for The Mormon Women Project.